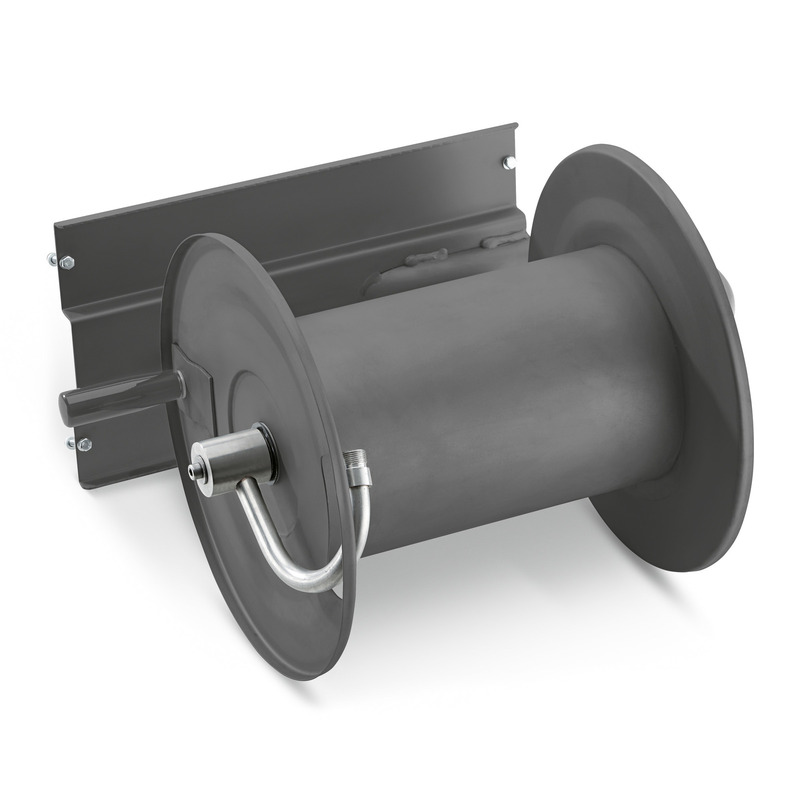 Hose reel attachment kit, powder-coated for HD Cage super class 24400050 https://www.kaercher.com/ae/accessory/hose-reel-attachment-kit-powder-coated-for-hd-cage-super-class-24400050.html Hose reel attachment kit for installation on the machine. For secure and space-saving storage of the high-pressure hose (with a connection hose for the machine HP output). Rotatable under pressure with M 22 × 1.5 connection. Hose reel attachment kit for installation on the machine. For secure and space-saving storage of the high-pressure hose (with a connection hose for the machine HP output). Rotatable under pressure with M 22 × 1.5 connection.